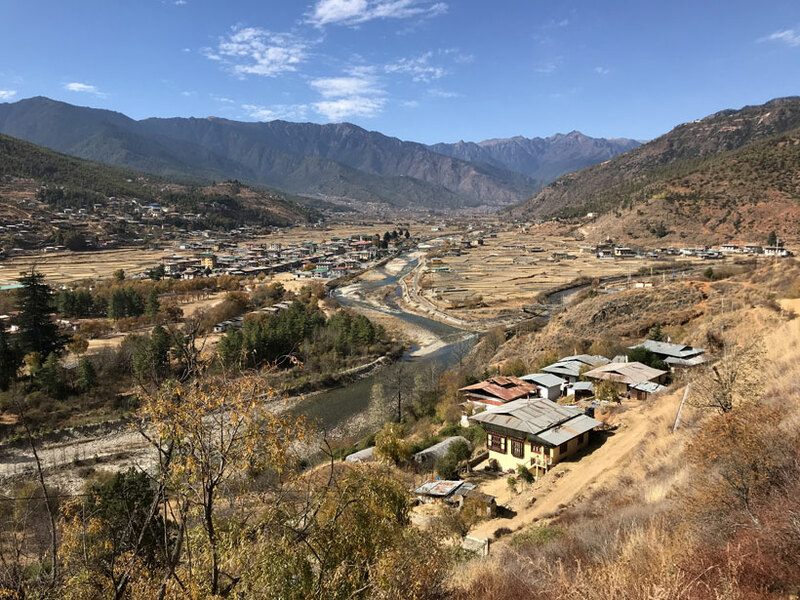 The town of Paro doesn’t have many sights to see that are in walking distance from the center, and I was not keen on traveling outside of the city to see some more monasteries! 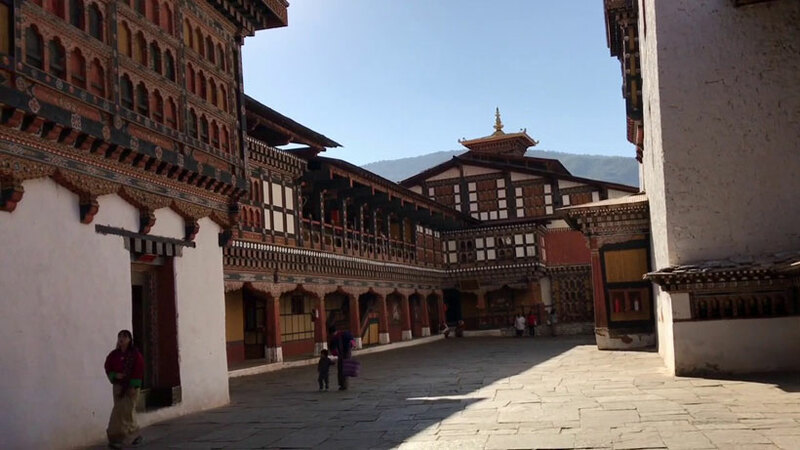 So I decided to visit some sites in the city, and after breakfast at the hotel where I was staying at, I headed out on a 20 minute walk to Rinpung Dzong. But on the way to the monastery, I stopped by the stadium nearby. 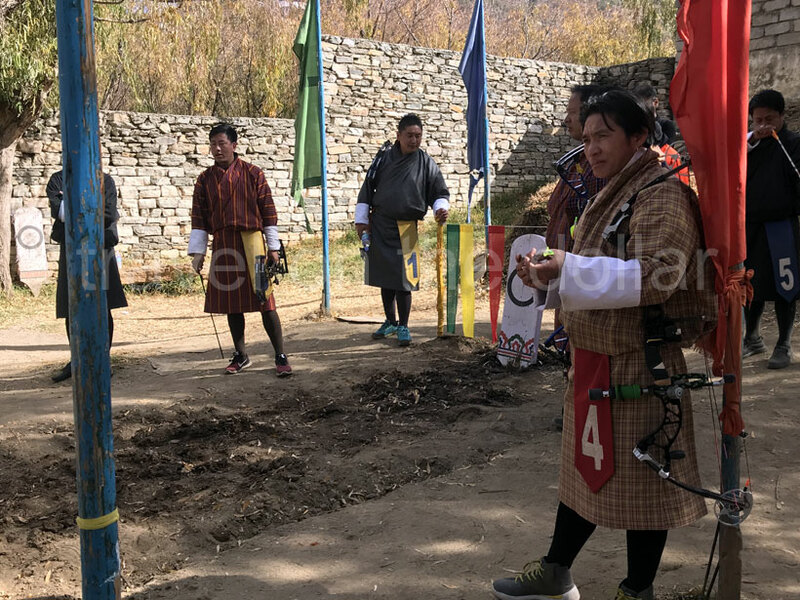 There was an archery game going on! 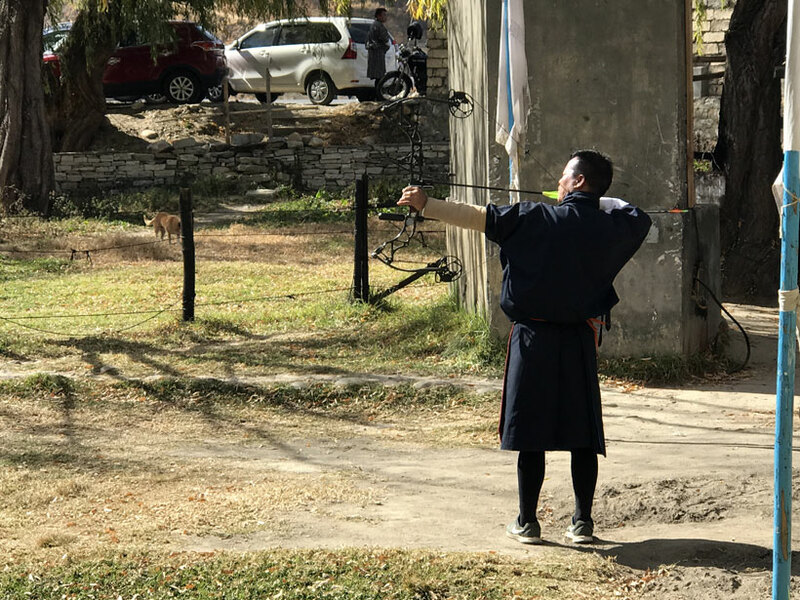 Archery is the national sport of the Kingdom of Bhutan since 1971, and some of the best archers in the world are from Bhutan. Watching the game is free. 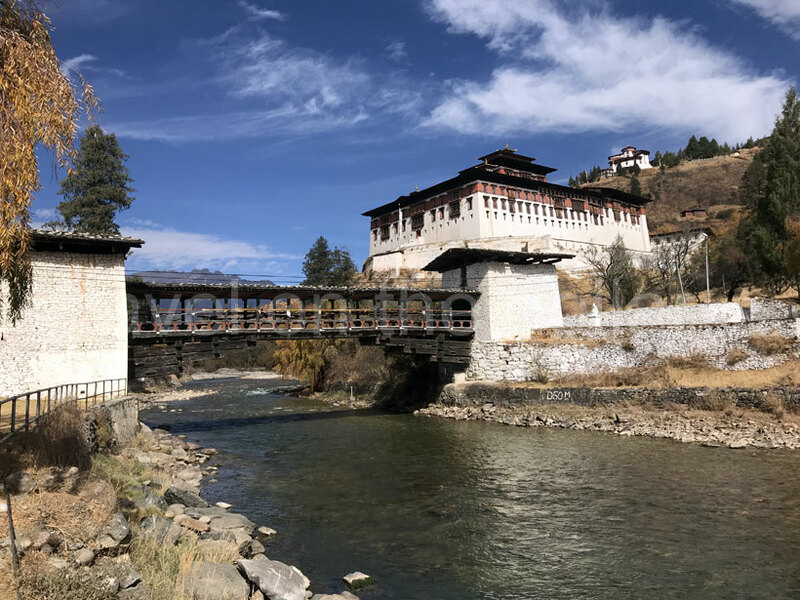 Walking south from the ‘stadium’ for about 15 minutes, I reached the gate that leads to the bridge to Rinpung Dzong which is a Buddhist monastery in one part and the Supreme Court of Bhutan in the other part. 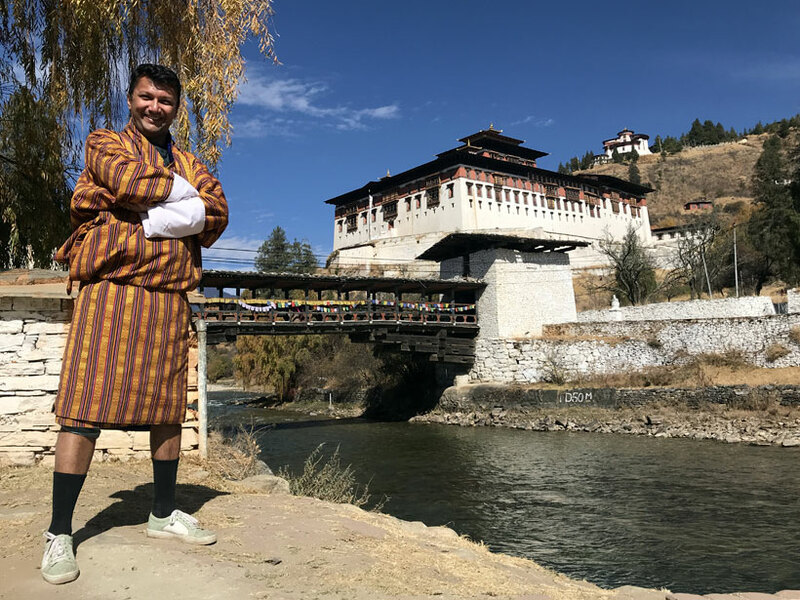 But before going to visit the Dzong, I stepped in to a store across from the gate, that provides dress rentals that you can put on and take pictures! And I had to do that! It costs BTN 200 for one hour rental. 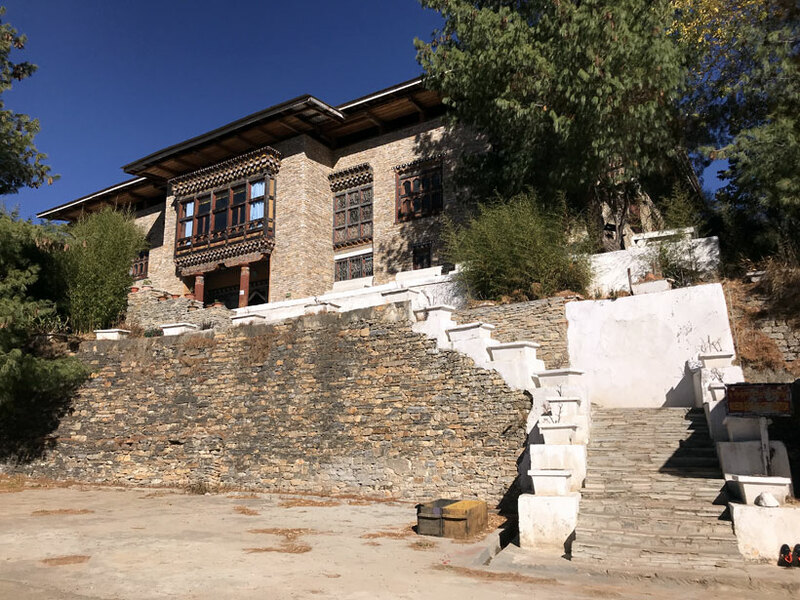 The ticket window is on the back side of the Dzong (cross the river via the bridge, walk up to the Dzong and climb the stairs on the right from the other side of the entrance). It costs BTN 300 to visit this monastery and as most of the Dzongs in Bhutan, this is also closed between 12pm and 3pm. 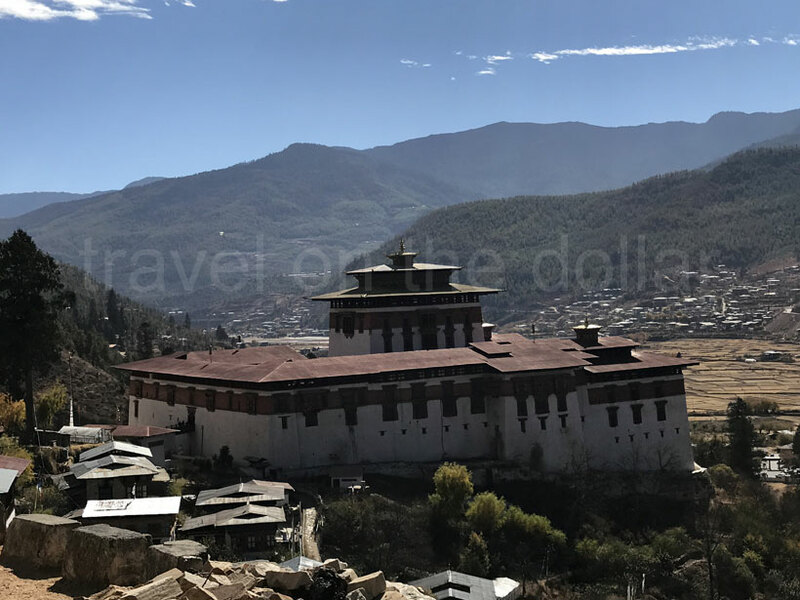 Rinpung Dzong is also the place to host the annual Paro Tshechu festival that is held from the 9th till the 15th of the 2nd month every year (always check the dates and times online before visiting). 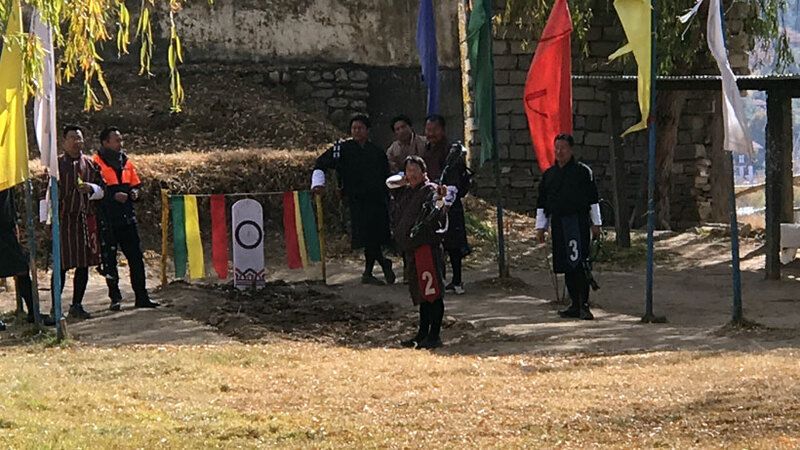 Introduced by Tenzin Rabgy in 1678, this ceremony’s highlight is the Thongdol, which is believed to deliver from all sins. The road at the ticket office leads up to National Museum of Bhutan. The museum has different galleries such as anthropology, arms and armor, pre-history, manuscript, paintings, textiles, bronzes, decorative arts, philatelic items, epigraphic items and numismatics. 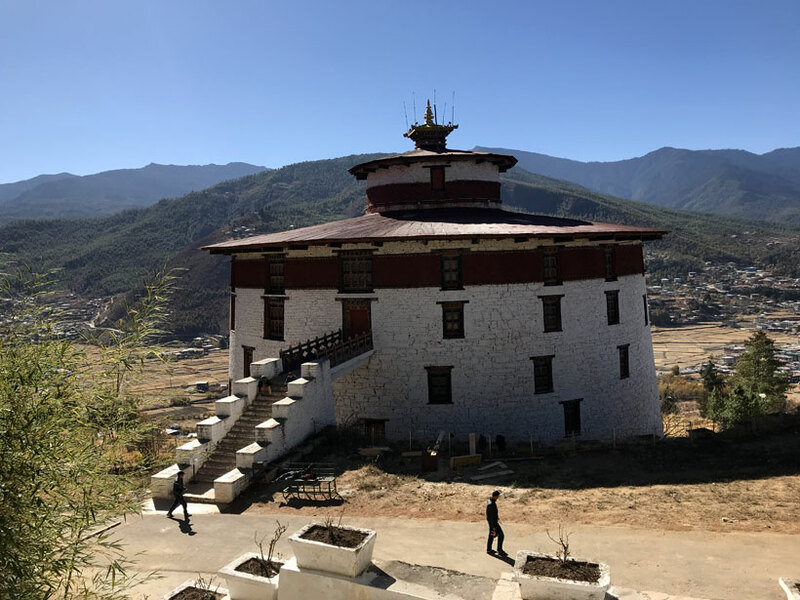 The original circular building visible from Rinpung Dzong suffered destruction in 2011 earthquake and the museum was moved to the building behind the original building, while it is under construction at the time of writing. Photography is strictly prohibited inside the museum and you’re required to leave your phones, cameras and bags in lockers outside the museum. Fees for tourists is BTN 200, for SAARC countries’ citizens is BTN 50, but weirdly I was charged BTN 25! 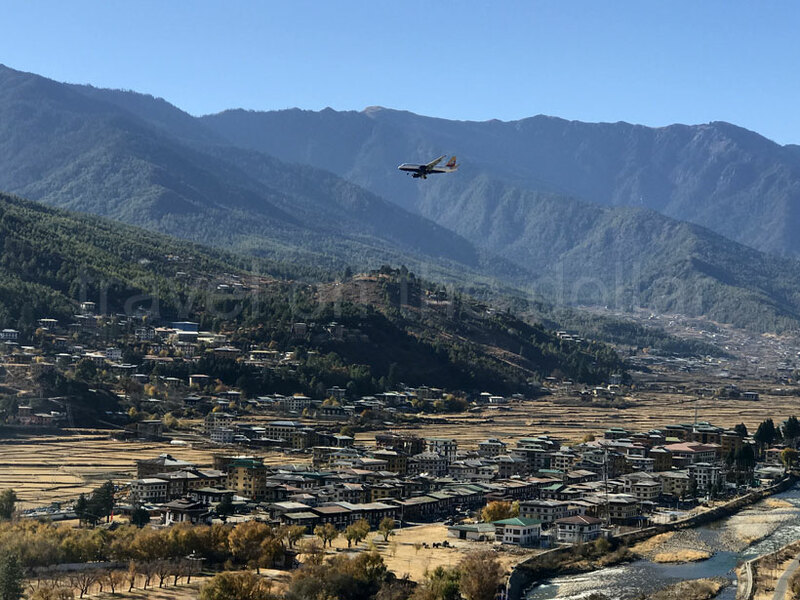 Walking down from the hills gives you a great view of the Paro city in the valley. 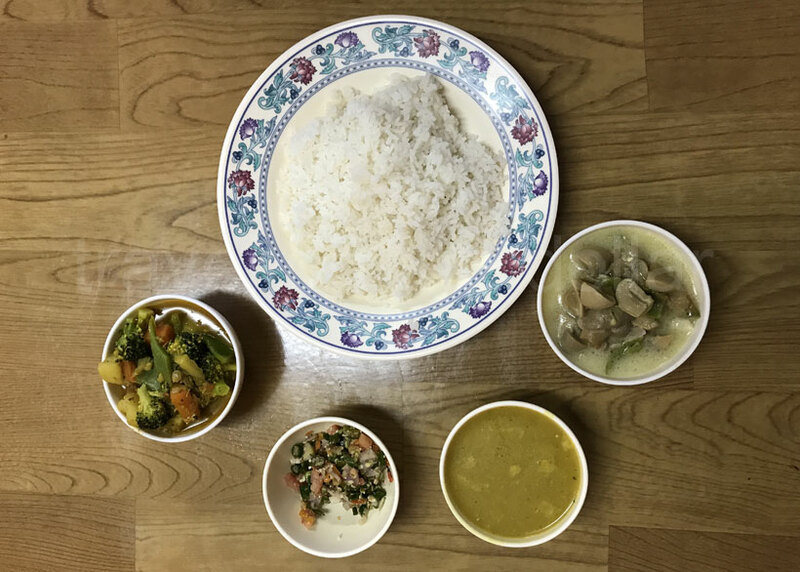 It was around 5pm when I reached Paro center, so I stopped by “Our Place” restaurant for some great local food.